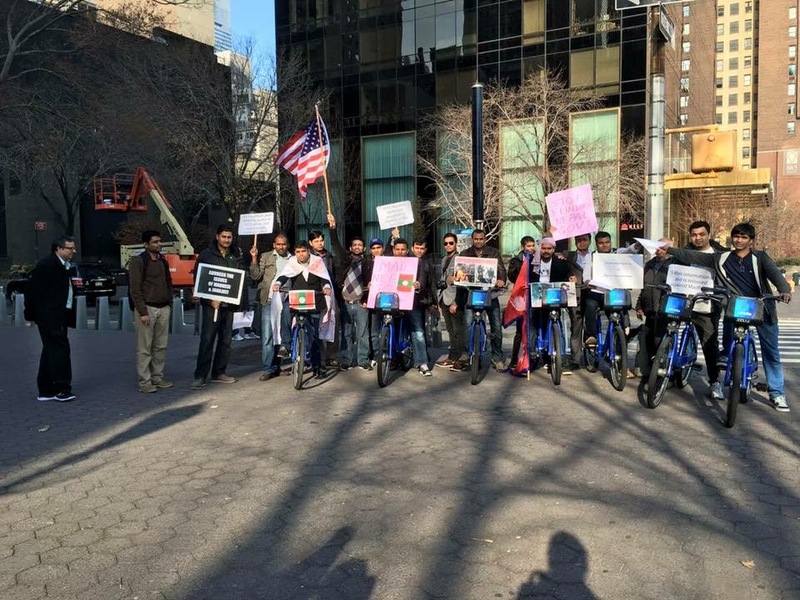 The Association of Nepali Teraian in America’s Greater New York Chapter (ANTA-GNYC) in collaboration with Madhesh Human Rights (Madhur) and Madheshi Community Empowerment in America (MCEA) held protest bicycle rally at New York in front of United Nations on Sunday, December 13, 2015 against Human Rights Violations in Terai/Madhesh of Nepal. 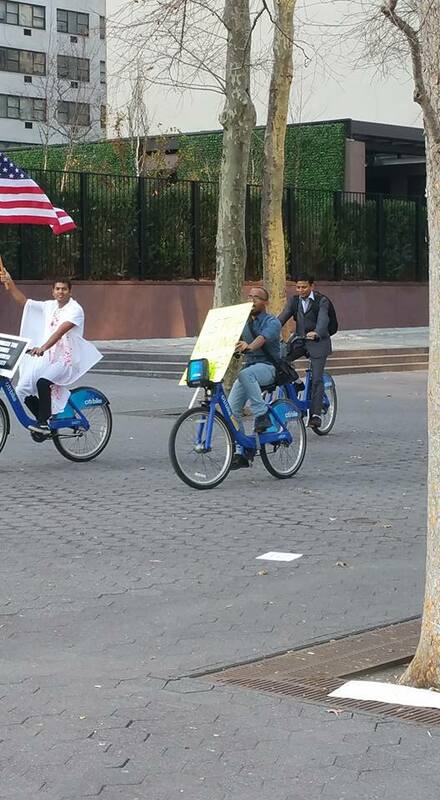 The program was indeed a grand success. 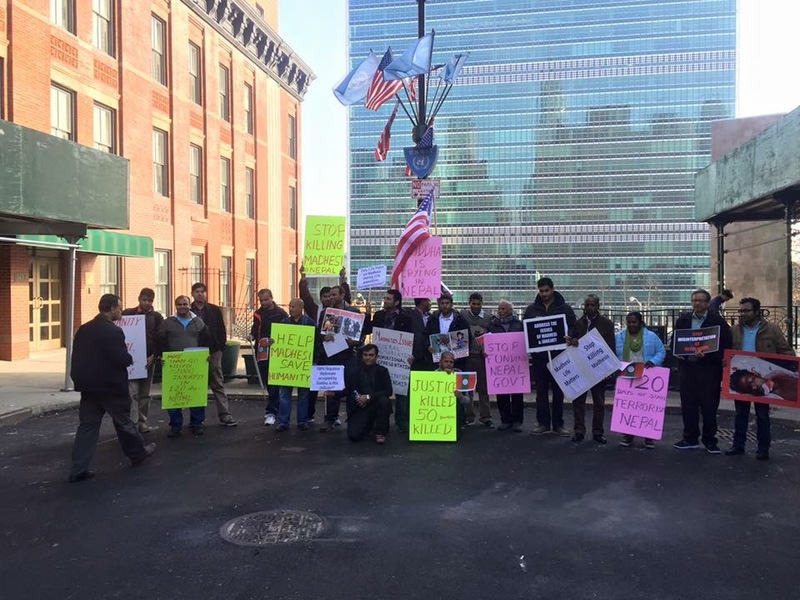 “The event held at UN headquarter was focused to convey the world about the unacceptable Human Rights situations in Nepal and to bring awareness among the International Donor Agency that the funds are misused for the political gains in Nepal.” said Ram Manohar Sah associated with Madhesh Human Rights ( Madhur), USA. 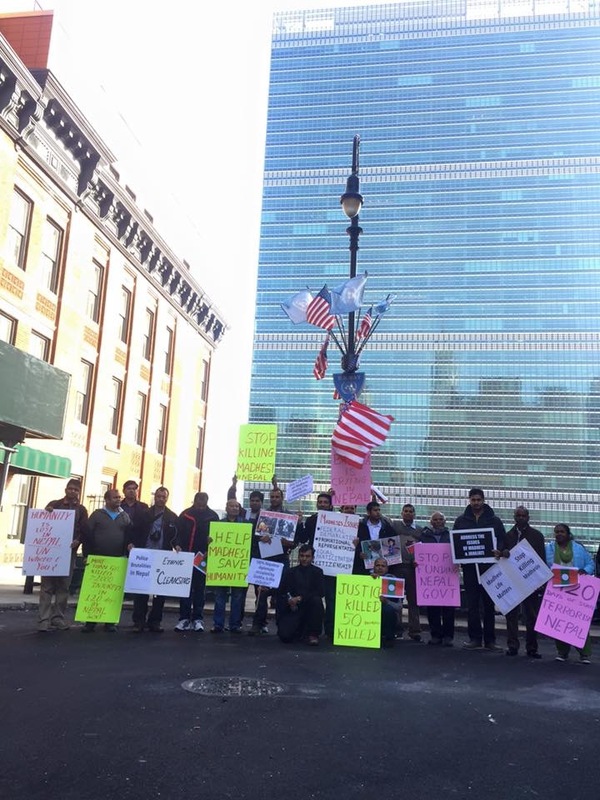 Madhesi Nepali professionals and intellectuals from all across the United States gathered in the protest rally including ANTA-GNYC president Arbind Singh, Dr Nabin Singh, Sukhdev Sah, Satendra Sah, Mukesh Jha, Devendra Singh, Abhisek Jha ,and many more. 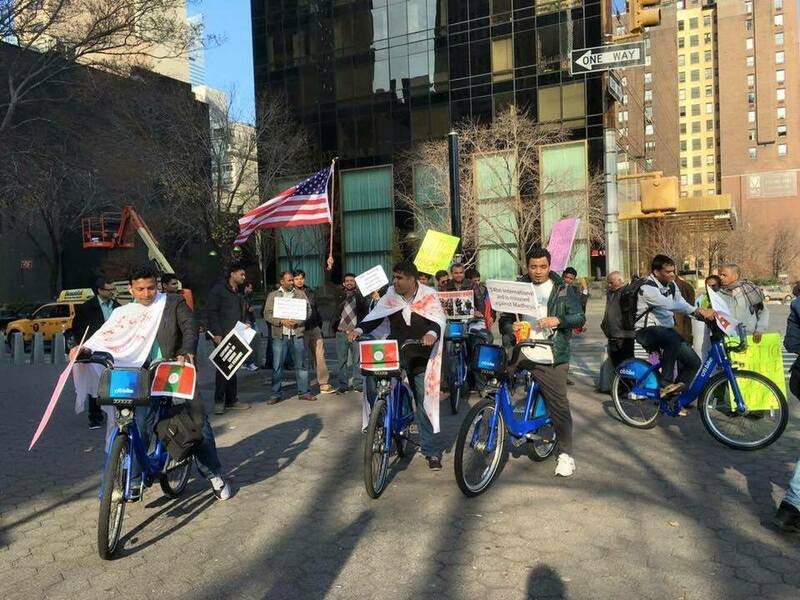 The speakers in the rally expressed their solidarity with the ongoing Madhes Movement led by common people in Nepal to secure their equal rights in the new constitution of Nepal and end institutionalized discrimination. 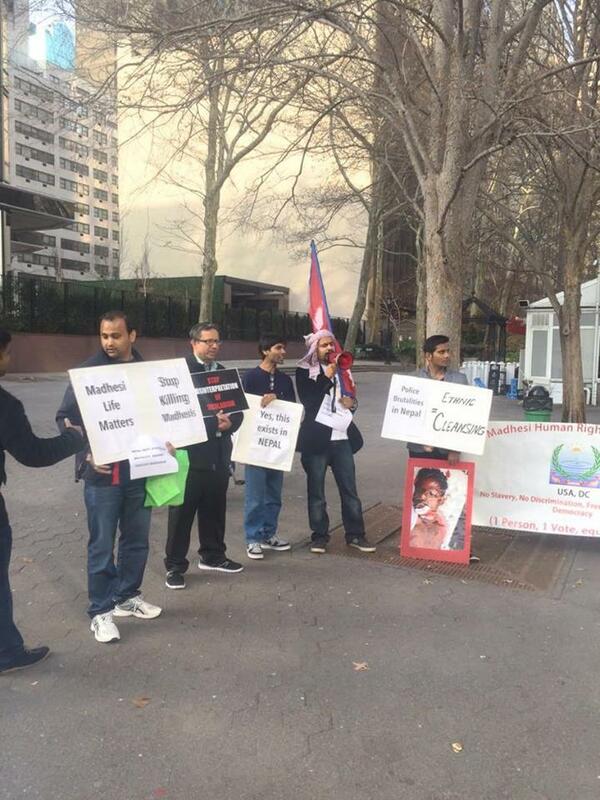 The speakers also voiced their grievances on the extra judicial methods of suppression of peaceful protests and dissent in Nepal that resulted in more than 48 people dead. 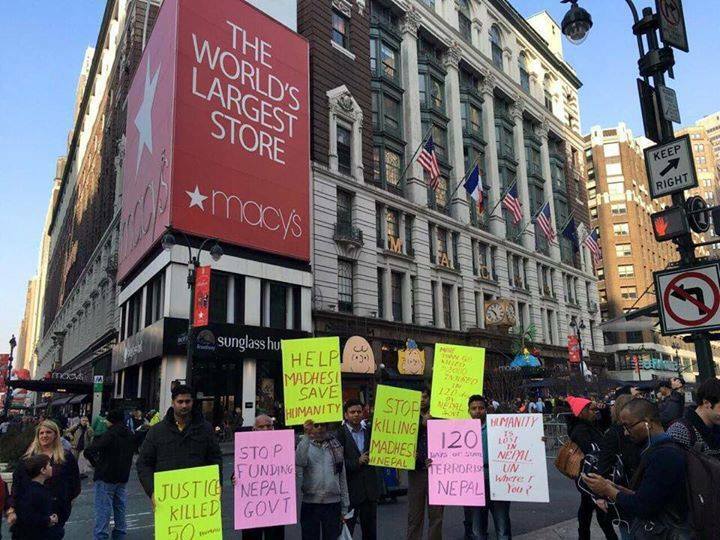 Some referred to the Nepal Government as Killer Government and accused them of state sponsored ethnic cleansing. 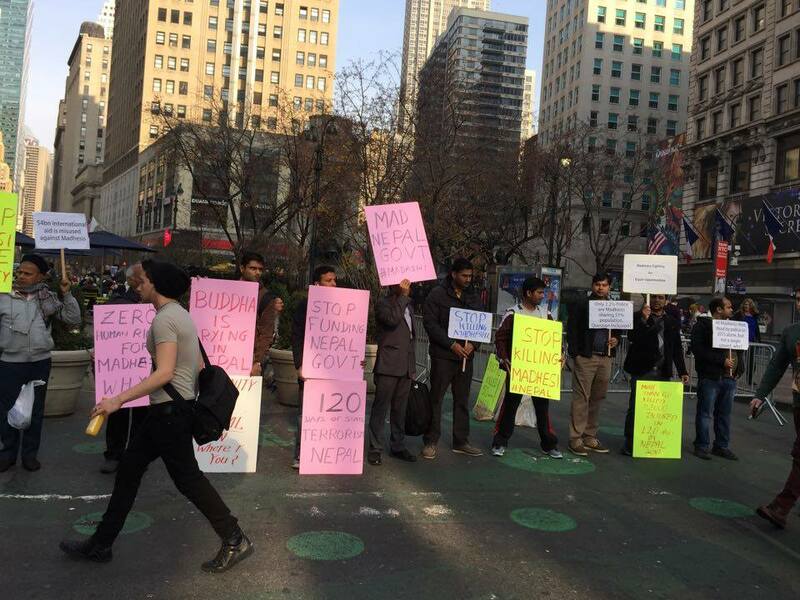 The protests in Madhesh for equal rights and against the regressive and discriminatory constitution have been going on for four months and this rally was to acknowledge 120 days of ongoing protest on December 13, 2015 in New York. According to the recent report of Human Right Watch, there has been massive human rights violation by Nepali Security forces in Terai-Madhesh. The security forces have already killed more than 50 people, including a four-year old child and 14-year old girl. 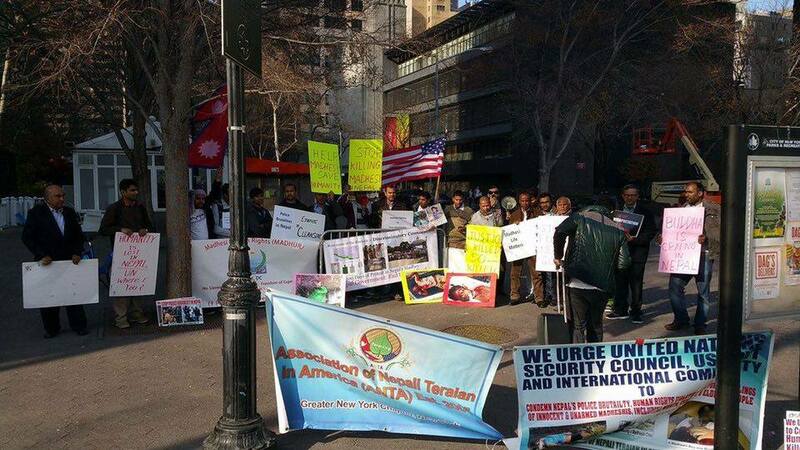 ANTA is saddened by the deepening economic and political crisis in Nepal resulting from the lackluster response of major political party leaders to over four-month long protest in the plain region, and over the government’s complete indifference to grave deprivations of normal life conditions for the millions of Nepali citizens resulting from the closing of schools, factories and transportation.